BioNova advocates on behalf of the sector for initiatives that are important to attract investment to the province. 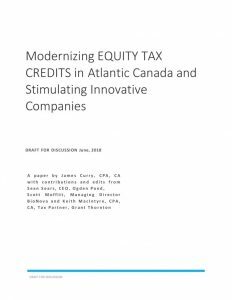 learn more about the recommendations we’re presenting to Government on modernizing Equity Tax Credits for Atlantic Canada by clicking on the image below. highlights: The new tax credit applies to investments up to $250,000 in eligible businesses, which is $200,000 more than the current Equity Tax Credit. Nova Scotian investors will receive a tax incentive of 35 per cent, or 45 per cent in priority sectors of oceans technology and life sciences. Government of Canada supports research project to advance medical technology for clinical coagulation tests May 11, 2018 – Dartmouth, NS – Atlantic Canada Opportunities Agency Helping Atlantic Canadian businesses succeed by fostering greater innovation through the commercialization of research creates well-paying jobs and improves the lives of all Canadians. 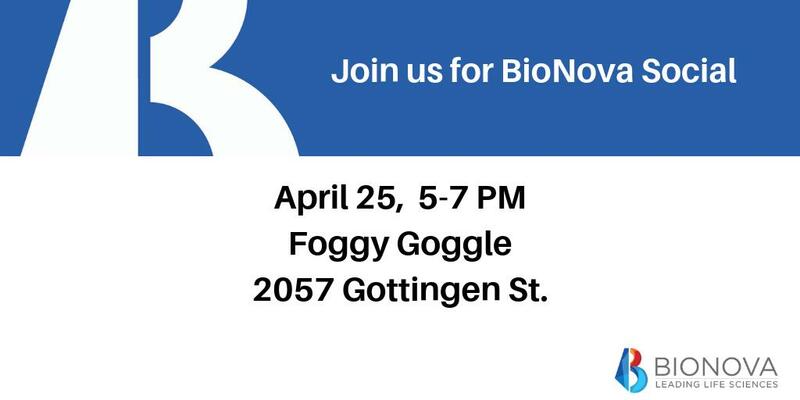 This is why the Government of Canada is supporting Precision BioLogic Incorporated’s breakthrough ideas in bioscience and the research required to develop new diagnostic products for use in clinical coagulation laboratories. Darren Fisher, Member of Parliament for Dartmouth-Cole Harbour, announced a $500,000 investment on behalf of the Honourable Navdeep Bains, Minister of Innovation, Science and Economic Development and Minister responsible for the Atlantic Canada Opportunities Agency (ACOA). The contribution is being made through ACOA’s Business Development Program, which supports small and medium-sized companies’ innovations to improve competitiveness in export markets. The assistance will help Precision Biologic Inc. develop new products to complement its existing line of frozen plasma diagnostic items used for hemostasis testing throughout the United States, Canada, Europe, Australia and New Zealand. The new research project will create one job. This investment builds on the commitments made by the Government of Canada and the four Atlantic Provinces to drive economic growth in Atlantic Canada through the Atlantic Growth Strategy. The Strategy supports targeted investments in initiatives that build on the region’s competitive advantages, such as its strong export potential and skilled labour to expand business activities between the region and international markets.